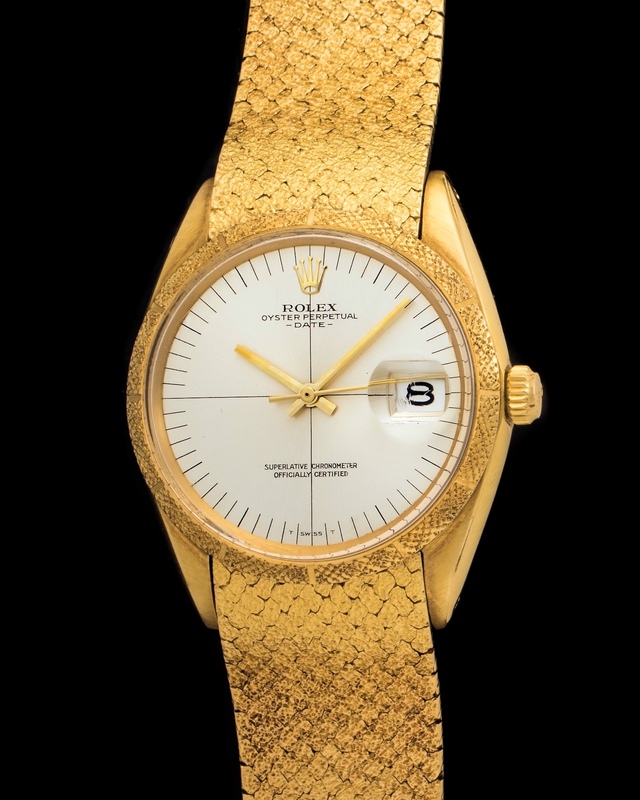 Unusual yet appealing Rolex Zephyr Oyster Perpetual Date. This watch has what is called a triple finish - brushed, textured, and smooth casing. Fitted with a silver sector dial, which has never been touched nor altered in any shape or form. The overall condition of the watch is mint as it has barely been worn. The automatic movement works without flaw making this watch the perfect option for a daily wearer. A striking feature of the watch is the bracelet because ones like these rarely ever surface. It is made from 18k yellow gold outfitted with a clasp.